The perfect toy or gift for the young folk. 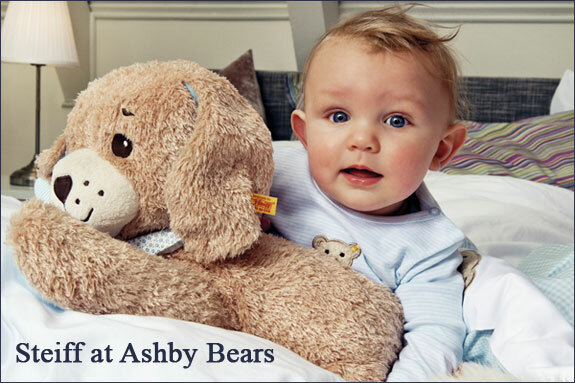 A range of baby safe teddy bears and friends with the quality of the Steiff name. All textiles in the steiff baby toys and gifts range are tested for harmful substances and certified by the standard Oko-Tex Standard 100. Steiff baby toy and gift products are made with loving care from the softest materials and filled with high-quality soft stuffing. As a result, these little friends are hard-wearing and machine washable. To banish any worries, the textiles used for Steiff baby products have also been awarded the "Oeko-Tex" certificate and comply with the European Toy Standard.